In California, cannabis legalization began back in 1996 with the passing of Proposition 215. â€œProp 215 made exempt patients and defined caregivers who possess or cultivate marijuana for medical treatment recommended by a physician from criminal laws which otherwise prohibit possession or cultivation of marijuana.â€� It allowed owners of medical recommendations to purchase cannabis from retailers operating under the Prop 215 classification. 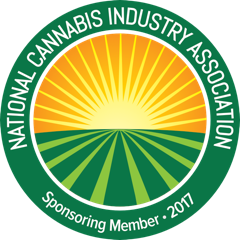 Fast forward to today, where Prop 64 is the new regulatory standard and businesses operating under Prop 215 are considered â€œblack marketâ€� operations. â€œBlack market cannabis is primarily untested and leaves an open door for some of the industryâ€™s worst practices.â€� Proposition 64 passed in 2016 and took effect in 2018. Prop 64 legalized Adult-Use sales and consumption but also includes regulations for the Medical industry, while doing away with Prop 215. Because many black-market cannabis businesses are hosted on platforms such as WeedMaps itâ€™s common for consumers to assume theyâ€™re purchasing safe, quality products from any business claiming to offer cannabis products. It simply isnâ€™t the case. Given the new regulations itâ€™s tempting to purchase cannabis from the Black market. The new standards for licensed business and new taxes have increased the prices for licensed businesses, making products more expensive for consumers. It's tough to witness small farmers, small manufacturers, and even delivery/retail businesses not able to survive under the new standards. However, for the health of the plant, people and the industry, purchasing from licensed retailers ensures a future for this clean source of medicine. â—� It hinders the growth of the industry. When licensed businesses lose money to the illegal market society takes the hit. Operating in the legal market means individuals may receive state approved jobs, giving them access to benefits and other opportunities otherwise unavailable to them. As the black market thrives, it strangles the ability of license holders to hire more employees. You think youâ€™re getting a better deal by purchasing â€œcheaperâ€� cannabis from unlicensed businesses, but it actually does more harm than good â€“ to you and society. At times it doesnâ€™t feel like the actions we take in our personal lives make a difference, but this isnâ€™t one of those times. The cannabis industry is the perfect example of an industry where the people hold the power. It shows in the way states continue legalizing cannabis in the face of Federal prohibition. People are showing up to the polls and making change happen. You as the voter, individually and collectively, are forcing politicians to listen. As the legal cannabis industry grows it needs more individuals to step up and begin buying into it. Nice Guys Delivery is a health-conscious, best-in class delivery service who supports the #cleancannabis movement. We are a licensed business, who has the individual at the heart of our mission. We are unlike the black-market who cares about profits over people, itâ€™s our goal to educate and guide our members about the validated benefits of cannabis for health. We make pain relief accessible, affordable and discreet while striving to offer each member an experience as unique as they are. Thatâ€™s the difference between us and the black market. We are here for you with clean cannabis options! The next time you purchase products we recommend asking your budtender or delivery drivers if they are licensed and if not, we suggest buying your products from someone who is. Click here to search for California licensed cannabis businesses and learn for yourself. Put your health first!